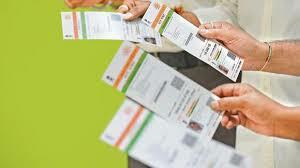 up with a way to change the address on the Aadhar card, and this will help citizens who have migrated to other places. Aadhaar card holders can change their address by providing an address validation letter instead of a valid proof of address. After this, you are required to log in again and after clicking on the proceed to update address’ in the UIDAI portal, provide the secret code. However, this method is restricted to address change only. For any other changes, visit the UIDAI’s enrolment or update center.